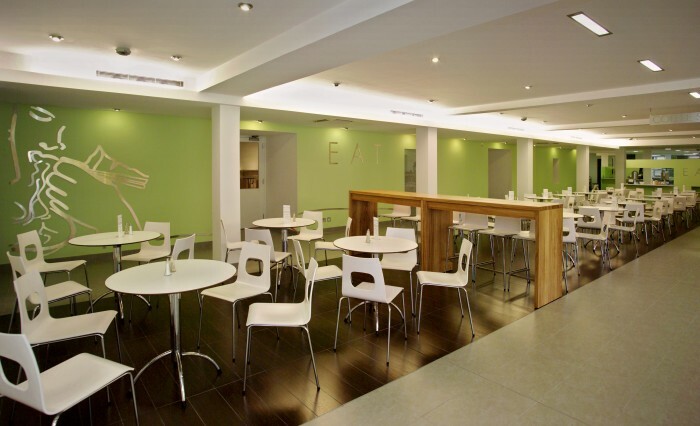 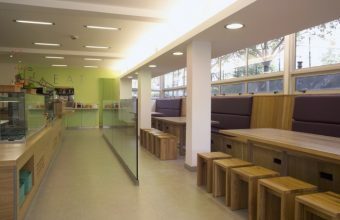 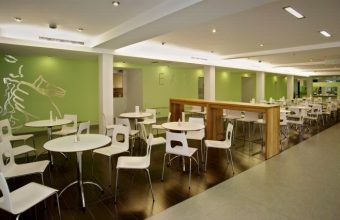 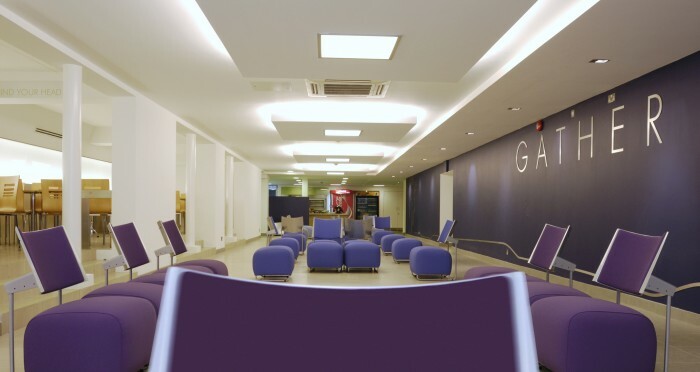 Refurbishment of existing canteen into a bright and stimulating contemporary food court come eatery for students. 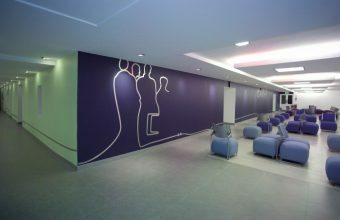 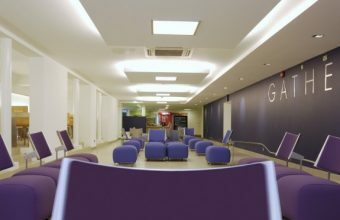 This involved refurbishment of the protected vaults area, furniture design and external signage in a sensitive environment. 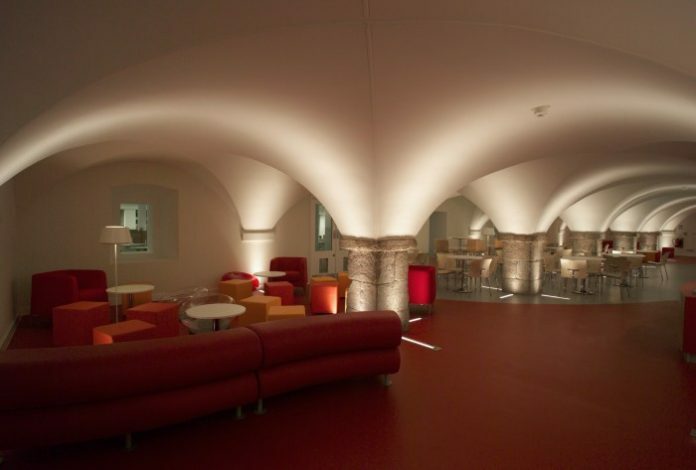 Oppermann Associates designed the lighting in the vaults area which comprises concealed up-lighting from the spring of the arches and slit floor lighting to up-light the bases.